1962: Gary Francis Powers was Released After Spending 21 Months in a Soviet Prison. 10 February 1962: Gary Francis Powers was released in a prisoner exchange for convicted spy Rudolph Abel after spending 21 months in a Soviet prison. Powers had been shot down on 1 May 1960 while flying his U-2 high-altitude reconnaissance aircraft over Soviet airspace. As the U-2 flew at 70,000-foot altitudes, the Soviets could do nothing to knock these aircraft from the sky, until this incident. They launched 14 SA-2 missiles and MiG-19 jet interceptors, and the percussion of the rockets detonating simultaneously damaged Powers' aircraft. This incident resulted in one of the most challenging situations for President Eisenhower. One of the results was telling the world about the "The Great Seal," a gift that had been presented to the U.S Ambassador in Moscow in 1946 by Soviet school children. The seal was actually a very well made microphone that was not discovered until 1952. 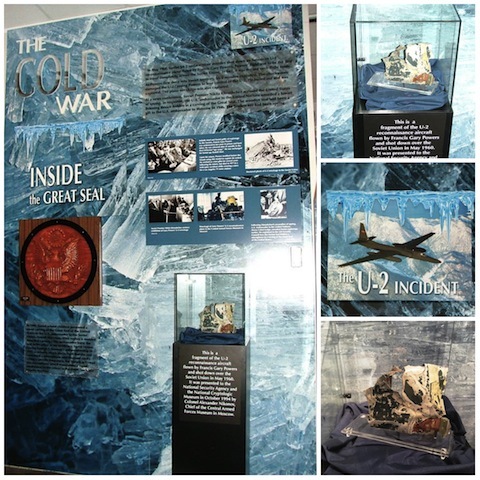 The Cold War exhibit at the National Cryptologic Museum tells the story of "The Great Seal" and the U-2 Incident. He wrote that "the aircraft jerked forward, and a tremendous orange flash lit the cockpit and the sky." He managed to hit the self-destruct switch before bailing out, only to be captured by Soviet citizens near the Ural Mountains at the city of Sverdlovsk. The U-2 Incident was one of the most highly visible events of the Cold War. The only fragment of the U-2 high-altitude reconnaissance aircraft flown by Gary Francis Powers on display in the United States is at the National Cryptologic Museum. 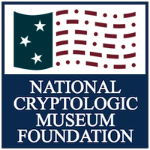 The fragment was presented to NSA and the National Cryptologic Museum in October 1994 by two Russian officers. The wreckage is held in the Armed Forces Museum in Moscow. Another piece of the wreckage was given to Powers' family.